Courtesy of Keller Williams Heritage, Monica Reed. Beautiful Luxury Condo in the heart of the Rim, Next to La Canter shopping center and Fiesta Texas. 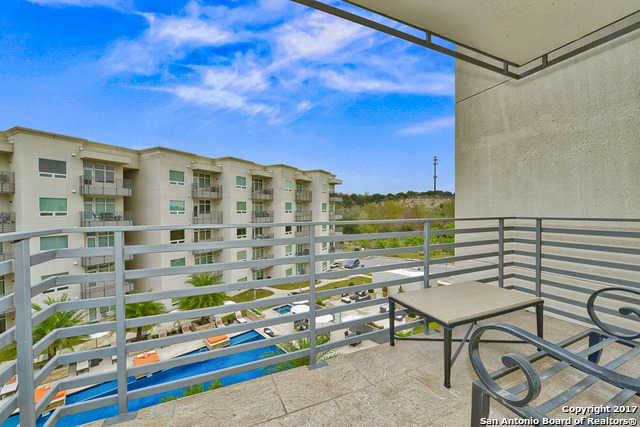 This 3 bedroom 2 bath Condo, has an open floor plan with quartz counter tops and a balcony. Fully fenced facility with gated access, game room with bar, entertainment center and BBQ pits, concierge service from 9-5pm and security guard all night. HOA payment includes some utilities water supply, Cable, Internet, Trash, Maintenance Common areas. With option to buy the furniture. Please, send me more information on this property: MLS# 1352593 – $295,000 – 17902 La Cantera Pkwy Unit 415, San Antonio, TX 78257. I would like to schedule a private showing for this property: MLS# 1352593 – $295,000 – 17902 La Cantera Pkwy Unit 415, San Antonio, TX 78257.